When it comes to exploring our Solar System, there are few missions more ambitious than those that seek to study the Sun. While NASA and other space agencies have been observing the Sun for decades, the majority of these missions were conducted in orbit around Earth. To date, the closest any probes have got to the Sun were the Helios 1 and 2 probes, which studied the Sun during the 1970s from inside Mercury’s orbit at perihelion. 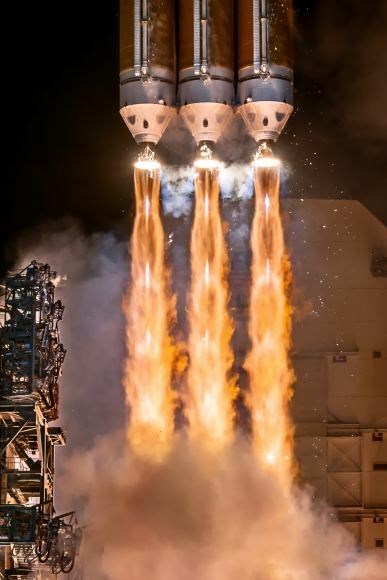 NASA intends to change all that with the Parker Solar Probe, the space probe that recently launched from Cape Canaveral and will revolutionize our understanding of the Sun by entering it’s atmosphere (aka. the corona). Over the next seven years, the probe will use Venus’ gravity to conduct a series of slingshots that will gradually bring it closer the Sun than any mission in the history of spaceflight! Once inside the Sun’s corona, the Parker Solar Probe will employ an advanced suite of instruments to revolutionize our understanding of the Sun’s atmosphere and the origin and evolution of solar wind. These and other findings will allow researchers and astronomers to improve their ability to forecast space weather events (i.e. solar flares), which can cause harm to astronauts and orbiting missions, disrupt radio communications and damage power grids. The key to the Parker Probe’s mission is the gravity assists (aka. gravitational slingshots) it will be performing with Venus. These will consist of the probe conducting flybys of Venus, picking up a boost in speed from the force of the planet’s gravity, and then slingshoting around the Sun. These are necessary in order to cancel out as much of the Earth’s orbital velocity as possible, which travels around the Sun at a speed of 30 km/s (18.64 mps) – or about 108000 km/h (67000 mph). Over the course of its seven year mission, the probe will conduct seven gravity-assists with Venus and will and make 24 passes of the Sun, gradually tightening its orbit in the process. Eventually, it will reach a distance of roughly 6 million km (3.8 million mi) from the Sun and fly through the it’s atmosphere (aka. corona), effectively getting more than seven times closer than any spacecraft in history. In addition, the probe will be traveling at speeds of roughly 692,000 km/h (430,000 mph), which will set the record for the fastest-moving spacecraft in history. Then there’s Integrated Science Investigation of the Sun (ISOIS), which relies on the EPI-Lo and EPI-Hi instruments – Energetic Particle Instruments (EPI). Using these two instruments, ISOIS will measure electrons, protons and ions across a wide range of energies to gain a better understanding of where these particles come from, how they became accelerated, and how they move throughout the Solar System. Dr. Parker was on hand to witness the early morning launch of the spacecraft. In addition to its advanced suite of scientific instruments, the probe also carries plaque dedicating the mission to Parker. This plaque, which was attached in May, includes a quote from the renowned physicist – “Let’s see what lies ahead” – and a memory card containing more than 1.1 million names submitted by the public to travel with the spacecraft to the Sun. 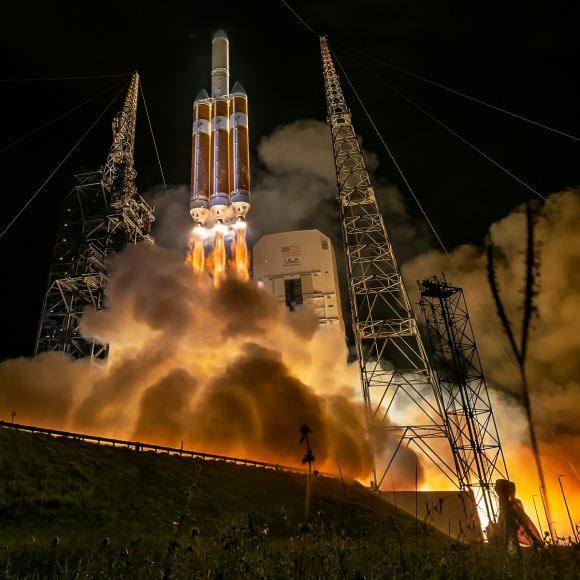 Instrument testing will begin in early September and last approximately four weeks, after which Parker Solar Probe can begin science operations. On September 28th, it will conduct its first flyby of Venus and perform its first gravity assist with the planet by early October. This will cause the spacecraft to assume a 180-day orbit of the Sun, which will bring it to a distance of about 24 million km (15 million mi). The post The Sun is Actually One of the Most Difficult Places to Reach in the Solar System. Here’s how the Parker Solar Probe Will Do It appeared first on Universe Today.